We’ve been hearing a lot lately about how health insurance premiums are likely to get much higher under Obamacare for the young and healthy. But here’s my take: premiums are likely to get much higher for all consumers, regardless of age or health status. At last count, there were some 50 million people in the US who have no health insurance coverage. One of the major objectives of Obamacare is to get those people into the system. Though I personally believe that this is a highly noble goal, there’s no way we’re going to get that many people into the system without significant financial repercussions. One of the bedrock beliefs of those who crafted the program is that pulling the uninsured into the system will actually lower premiums by spreading the cost of health insurance over a larger number of people. That sounds good in theory, but since most people who don’t have health insurance right now either a) can’t afford it, or b) have a health condition that has prevented them from getting coverage, the theory is unlikely to work in practice. Since neither condition will be changed by Obamacare, the costs for bringing tens of millions into the healthcare system will be moved onto everyone else. From a philosophical and humanitarian standpoint, I agree that everyone should have health insurance coverage – I don’t think many people disagree on that point. But from a purely economic position, it’s hard to see how this transition will do anything other than increase the cost of the system overall, and the premiums paid by everyone. Another major provision of the bill is increased coverage for use the preventative services and screenings. Once again, from a humanitarian standpoint this makes perfect sense. But this provision is likely to cause an increase in the use of such services, which will cause the overall cost of healthcare to rise, and premiums with it. As we’ve already seen, millions of people are having their private health insurance plans canceled with the rollout of Obamacare. That shouldn’t be a surprise to anyone. The provision is being extended by another year, but the direction is clear – private plans will go away. They must. Here’s the dirty, little secret about mega systems (no, not the fact that the Administration knew about this all along and didn’t fess up): in order for them to work, competition has to be eliminated. Why? If competitors – unrestrained by mega system rules – are allowed to exist, they will eventually make the mega system unsustainable. The elimination of competition creates a monopoly – in this case by federal and state health insurance exchanges – that will raise premiums precisely because they can. After all, there’ll be no competition available that can offer lower rates. They’re eliminating their own sponsored health insurance plans, and providing an employee subsidy so that workers can buy coverage on the exchanges. Relatively speaking, only a small number of employers have taken either of these steps. But then Obamacare only rolled out officially within the past few weeks. And in that short amount time, the trend is becoming clear – employers are seizing on Obamacare as a way to get out of the tangled web than employer-sponsored health insurance has become. While there may be some merit to eliminating employer plans, and providing a subsidy for employees to buy coverage on exchanges, the ultimate outcome of that transition can’t be completely measured right now. But this much we do know, employers are constantly and relentlessly working to find ways to cut expenses. Since health insurance is one of those expenses – and an increasingly big one at that – it will just be a question of time before they’ll begin cutting those subsidies. Once they do, employees will begin to feel the increasing weight of the real cost of their health insurance premiums. These are just coverage related factors that will likely increase premiums under Obamacare. We haven’t even factored in the increase in taxes that are likely to follow. And we should fully expect that to happen, since tens of millions of people will be eligible for federal income tax credits as a subsidy to purchase health insurance. That may be a benefit to the people getting the subsidies, but to the majority who won’t, it’ll just mean higher taxes – on top of higher premiums. We’ve grown accustomed to large annual increases in health insurance premiums over the past few decades. My guess is that the trend will not only continue under Obamacare – but it will accelerate at a substantial rate. Instead of doubling every 10 years or so, we might be looking at that happening in five years or less. How much affect do you think that Obamacare is likely to have on health insurance premiums? Thanks for the perspective. Premiums are bound to go up regardless. When was the last time premiums actually went down or even remained the same? Yes, the current roll-out is a mess, but like everything else, these issues will be sorted out. MA has a wonderful healthcare system – I’m sure they had growing pains too. 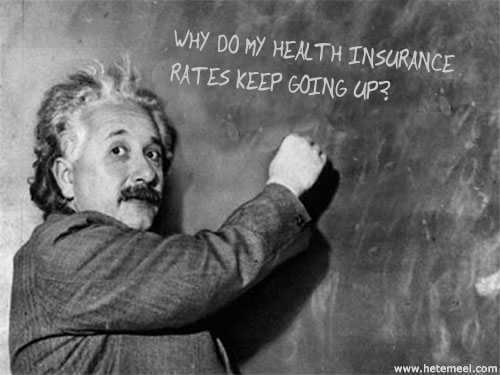 Hi Moneycone – I agree, and stated this in the post (premiums perpetually rising). But I do think they will rise a lot faster under Obamacare for all the reasons given in the post. As to Massachusetts, they have what are by far the highest average premiums in the country, which basically proves the point of where we’re headed with Obamacare. You can verify this at this site from Kaiser http://kff.org/other/state-indicator/individual-premiums/ . Mass is more than twice the US national average. I agree with you Kevin. Interesting about the high premiums in MA. I guess we can’t have the cake and eat it too! No we can’t. My feeling is that true heathcare reform isn’t coming until the cost of the system is specifically addressed. So far, maintaining funding has been the main focus, but that isn’t reform.